Much like it has in the rest of the world, organic eats are becoming a buzz food in Tokyo. More and more restaurants and stores in the capital are wheeling out the phrase and now it comes to ice cream. 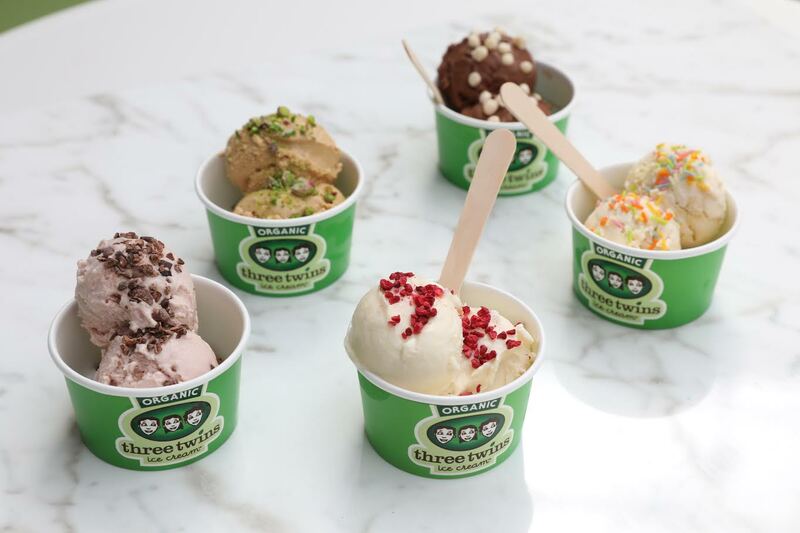 Last week, the northern California-founded organic ice cream shop Three Twins Ice Cream opened a small store in Daikanyama Station. It sells 11 flavors, ranging from a relatively simple Madagascar Vanilla to the more daring Chocolate Orange Confetti. 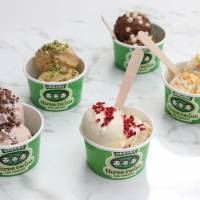 You can get each flavor as a single scoop (¥380), double (¥680), a “little double” (¥500) and a “Three Twins” triple set named after the brand (¥550). Add toppings of your choice for ¥80, or get it in a soft waffle cone for ¥100 more. Three Twins does your baseline flavors well: The vanilla and bittersweet chocolate deliver, while the mint confetti really brings the titular flavor: If you love mint you won’t be let down. Still, try the more creative offerings for something a step above. The Mocha Difference mixes organic coffee beans into the ice cream, adding a nice crunch to the scoop, while my MVP goes to the Lemon Cookie, a tart flavor with just the right level of sourness. Just one way to enjoy a warm day in Daikanyama.